Set your calendar reminders, Early Bird Patron Passes will go on sale next Tuesday, December 12, 2017 at 10:00 am (MT) and are available in limited quantities! With a $200 savings on the regular-priced Patron Experience Pass, Early Bird Passes offer the highest value of all festival passes and are available extremely limited quantities. 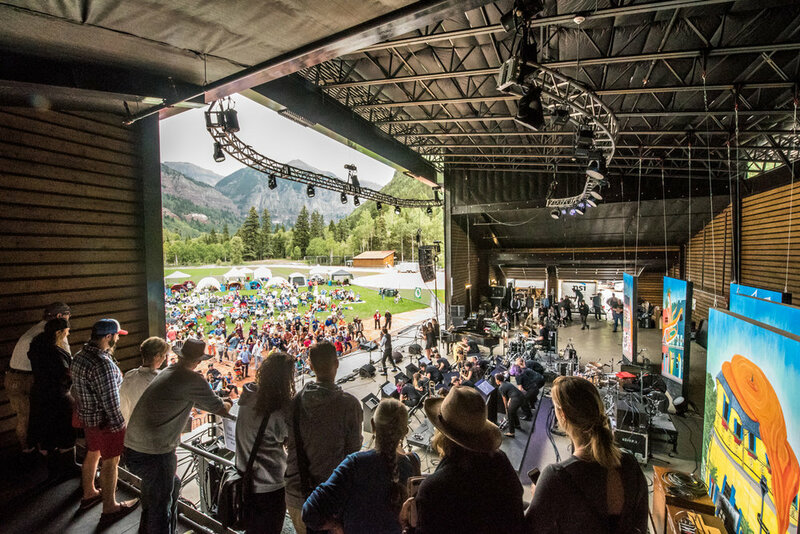 In addition, a portion of the ticket cost, $200, benefits the Telluride Society for Jazz and can be deducted on 2017 income taxes as a charitable contribution. The Patron Experience bundles top-of-the-line amenities offering an elevated festival experience that's unmatched. Featuring an exclusive On-Stage Viewing Platform, Backstage Catered Meals, a Private Opening Concert and Reception, Complimentary Bars, an Exclusive Lounge, Priority Festival Entry, Private Upscale Restrooms and more, the Patron Experience puts luxury first. 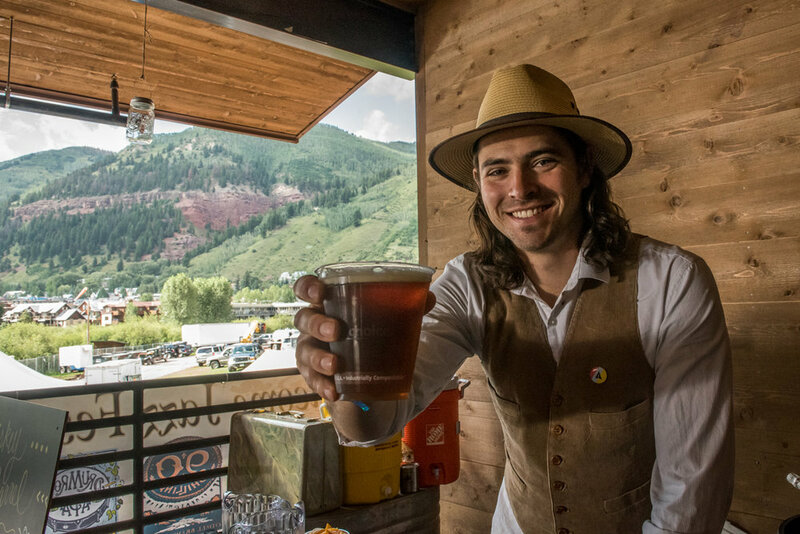 The Patron Experience returns relatively unchanged for 2018, but after listening to feedback from loyal Patrons, we are excited to announce a new location of the Patron-VIP Lounge on the East end of Telluride Town Park. This will offer a wider and more direct view of the Main Stage entertainment from the comfort of the lounge. Enjoy an on stage viewing area, close to the performers featuing a beautiful mountain backdrop. Kick off your festival with a private opening concert in the historic Sheridan Opera House. Enjoy an unobstructed view of the stage from the Patron Area. Safari Cabanas offer shelter or just a great place for your group to call "home base" during the festival. An on-stage bar serves up beer, wine and craft cocktails throughout the festival. Patrons can enjoy a luxurious opening reception to kick off the festival. Wine and Dine with the artists Backstage - Patrons can enjoy special backstage access featuring catered meals by chef Josh Klein, a complimentary bar, covered dining area and upscale, patron restrooms. The full menu will be announced in Spring 2018. Private Opening Concert - Kick off the festival with a private opening concert at the historic Sheridan Opera House on Thursday, August 2, 2018. 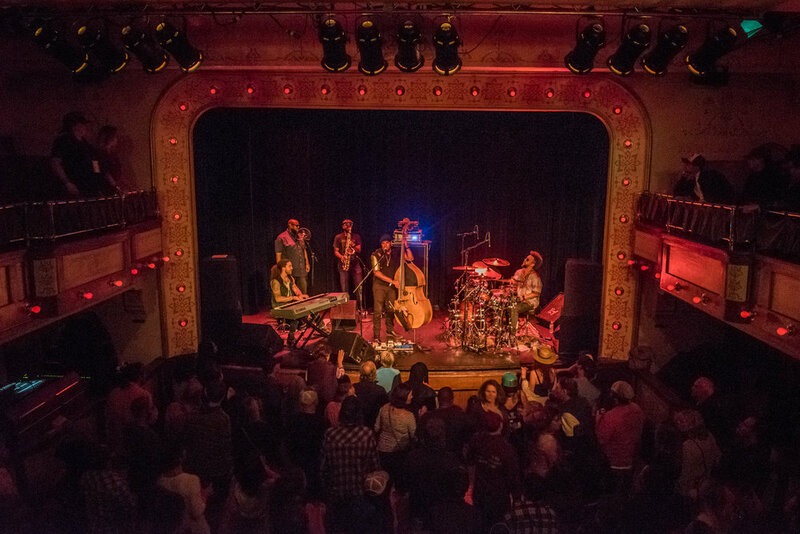 With a maximum capacity of 265 attendees, the historic Sheridan Opera House is the ideal venue for a truly warm and rustic welcome to the festival. Opening Reception - Open the festival on Thursday, August 2nd alongside fellow Patrons, the Telluride Society for Jazz Board Members and festival staff at Rustico Ristorante's romantic open-air patio. Indulge in a catered menu of decadent hors d'oeuvres and an open bar with craft beer, wine and cocktails accompanied by live music from the Telluride Student All-Stars Jazz Ensemble. The Patron Opening Reception Menu will be announced in Spring 2018. 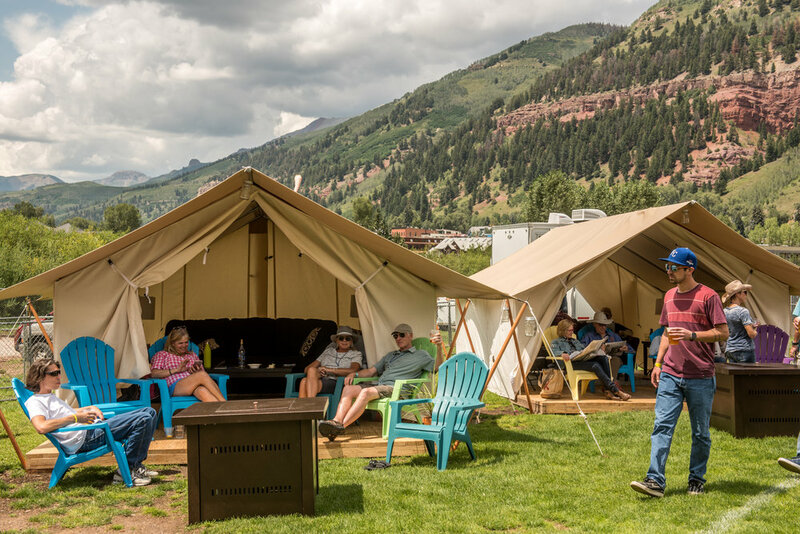 Eligible to purchase Safari Cabanas - Safari Cabanas are the ultimate way for groups to attend the Telluride Jazz Festival! Enjoy the Main Stage entertainment from the comfort of your own Colorado Yurt Cimarron Tent curated with luxurious conveniences and a concierge service. These specialty tents are outfitted with comfortable decor, a covered front porch, fire pit and relaxed seating for eight. Safari Cabanas are a great place for groups to spend the day or just call their home base in Telluride Town Park. For more info, click here. Access to Patron/VIP Area - New location for 2018! Enjoy the music from an exclusive, less crowded Patron/VIP Area inside the festival with uninterrupted stage views and a covered, heated lounge with relaxed seating. The Patron/VIP area also features yard games, fire pits and intimate pop-up shows. Patron and VIP Priority Check-In at Box Office - Skip the line and get straight to the fun with a dedicated check in. Free entry to the Telluride Historical Museum - In 1961, the town of Telluride was designated a National Historic Landmark as one of the most important places associated with mining history in the United States. Learn about it's rich history with free Telluride Historical Museum admission throughout the festival. 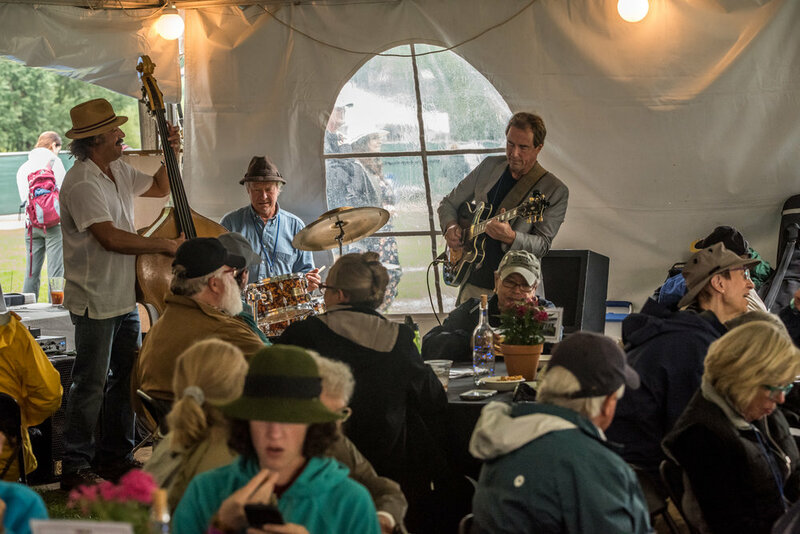 Don't miss out, be one of the few to enjoy the unparalleled Telluride Jazz Festival Patron Experience. Early Bird Patron Experience Passes will be available in limited quantities Tuesday, December 12, 2017 at 10:00 am here.